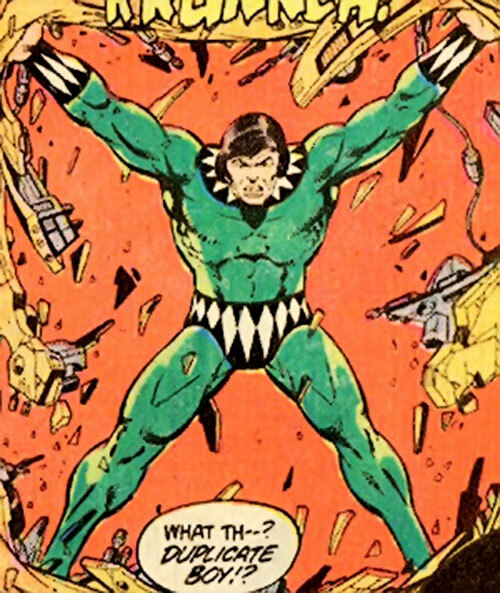 Duplicate Boy is an immensely powerful character in the DC Comics Legion of Super-Heroes distant future. He first appeared in 1964 and returned with some regularity until the 1994 reboot. Real Name: Ord Quelu or Quelu Ord (as Lallorians don’t differentiate between first and last names, either is correct – however, it has sometimes been written incorrectly as Qued Orlu). Group Affiliation: Champions of Lallor (sometimes called the Heroes of Lallor – both translated from the Lallorian). Base Of Operations: Planet of Lallor in the late 30th century. Duplicate Boy is a mutant able to copy superpowers from any person whose power he has seen or heard of. 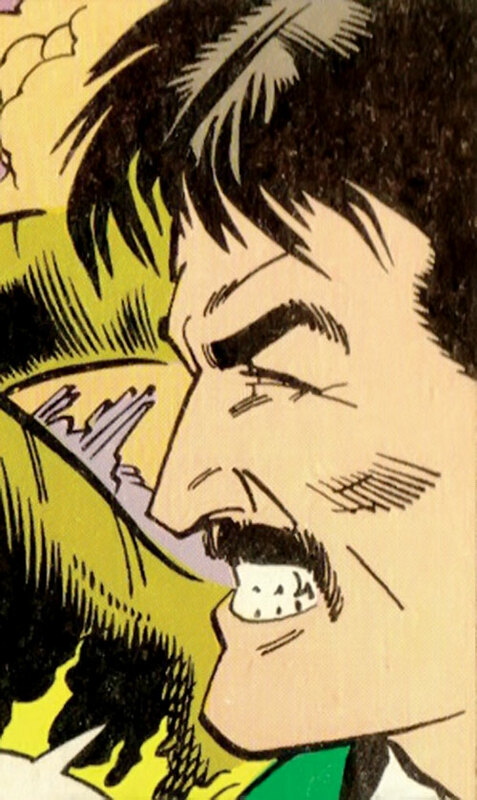 He’s also physically fit and a good hand-to-hand combatant, capable of going several rounds with Colossal Boy. Timber Wolf’s DEX and Acrobatics. He usually ignores his Limitations – he may not even realize exactly what they are – and has been known to knock himself unconscious by overextending his Powers. On one occasion he tried to duplicate the White Witch’s magic and use it to make a monster disappear. In DC Heroes RPG terms, he was able to Adapt the Sorcery power and cast a Dimension Travel (Banishment) spell to get rid of the creature, but doing so knocked him out. In the story, this is explained as his power not handling magical abilities well. In game terms, his very low Spirit means that the Mystical Bashing Damage from casting any spell will almost certainly cause him to black out. Also note that his teammates were not surprised to see him get knocked out by the spellcasting, which indicates this was not the first time he’s had trouble when using Sorcery – and it probably won’t be the last. Ord Quelu was one of five mutants on the planet Lallor who were raised together as part of a government study effort. He displayed the powers of all his playmates at various times, leading to the conclusion that he had the ability to duplicate the powers of others. Duplicate Boy and his fellow mutants were exiled by the dictator of Lallor, who felt threatened by their powers. 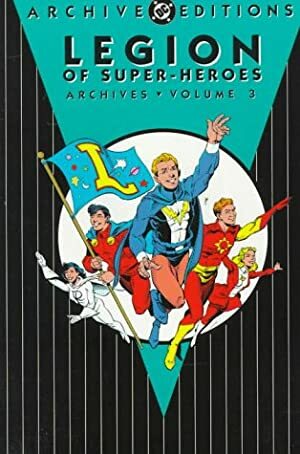 When he and his four friends met the Legion of Super-Heroes for the first time, they were manipulated into thinking the Legion was evil. The Lallorian mutants tried to “overthrow” the Legion’s “dictatorship” of Earth. They hoped that in return the people would allow the Lallorians to stay there and end their exile. But during the conflict Duplicate Boy and Legionnaire Shrinking Violet fell in love. Together they exposed the deception, allowing the two teams to become friends. The Legion discovered that Lallor’s dictator had finally been overthrown by the people. These invited the Lallorian mutants to come home and operate as heroes and protectors of their native world. The mutants took that offer. They became known alternately as the Heroes of Lallor or the Champions of Lallor (translated inexpertly from Lallorian, through Interlac, to English). 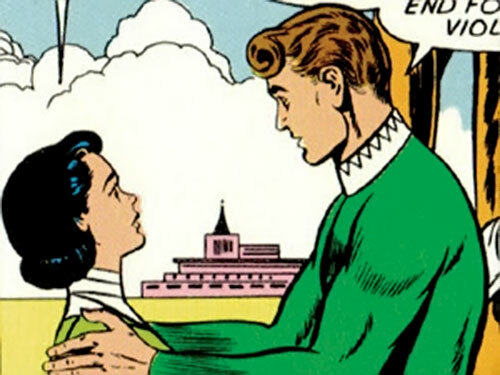 Duplicate Boy and Violet maintained a long-distance relationship, as he could come to Earth anytime he wanted by duplicating Superboy or Mon-El’s superspeed. They actually dated each other very seldom due to the distance and their busy lives, but they still considered themselves to be a steady couple. Furthermore, Duplicate Boy also showed a strong streak of jealousy and possessiveness at times. There was an incident in 2979, when she spent a night on the town with Matter-Eater Lad after Duplicate Boy had canceled a scheduled date. When Duplicate Boy showed up late, he threatened to take a swing at Matter-Eater Lad before Violet intervened. For a time after this, Duplicate Boy was around a bit more. For instance he was Violet’s date at the wedding of Duo Damsel and Bouncing Boy. He vacationed with Violet on Imsk on at least one occasion. The latter is an ability no other non-Imskian has as the resorts are built on a microscopic scale. That trip ended when he was nearly killed by the Fatal Five. His life was saved when Saturn Girl telepathically commanded his comatose mind and body to duplicate Superboy’s Invulnerability. Ord also helped the Legion on another case or two, such as during the rampage of the Composite Legionnaire. He remained possessive of Violet, even watching her long-distance (presumably without her knowledge) through the use of duplicated telescopic vision. In 2984, when he observed Violet apparently cheating on him with Colossal Boy, he came to Earth. Ord attacked CB, duplicating his Growth power and causing a major headache for the Legion and the Science Police. When Ord realized that this was not Violet at all, he apparently assumed that Violet was undercover and had left a double in her place. 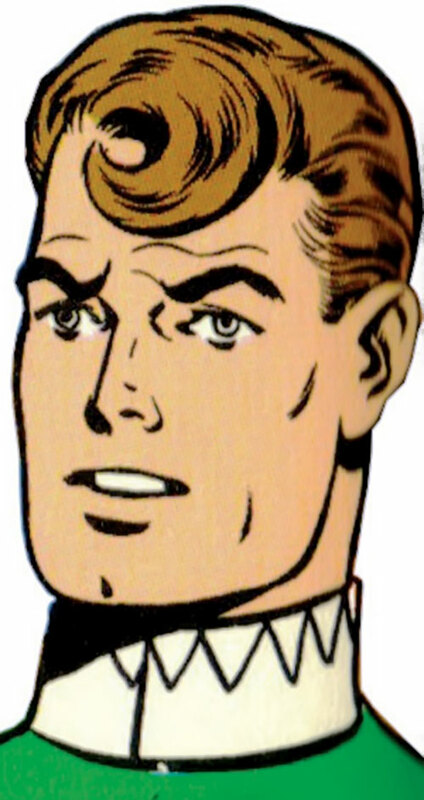 He backed off from his attack on Colossal Boy and was allowed to leave Earth and go home. He did so without revealing his knowledge of the impostor, perhaps thinking by doing so he was helping the real Violet stay undercover, or perhaps simply angry. It apparently never occurred to him that the Legion wasn’t aware of the switch, or that his girlfriend might actually be in trouble. The Legion soon unmasked the false Violet and discovered that the real one was in fact being held against her will and had been badly injured. She spent some time recovering from months of sensory deprivation and interrogation. Ord didn’t visit in the hospital but sent Violet a gift when she resurfaced. Violet went to Lallor to return his gift and end their relationship – and to punch him out for his stupidity in not checking out her disappearance. The guilt from this failure caused Ord to lose his confidence and powers for several weeks. His teammates managed to help him recover his powers, but he hasn’t really been as effective since that time. Since then, he has operated exclusively on Lallor, using his powers to aid in building projects, and defending the populace during the Magic Wars and the subsequent Khund Invasion. Ord is a tall and muscular man with medium-length dark brown hair and blue eyes. 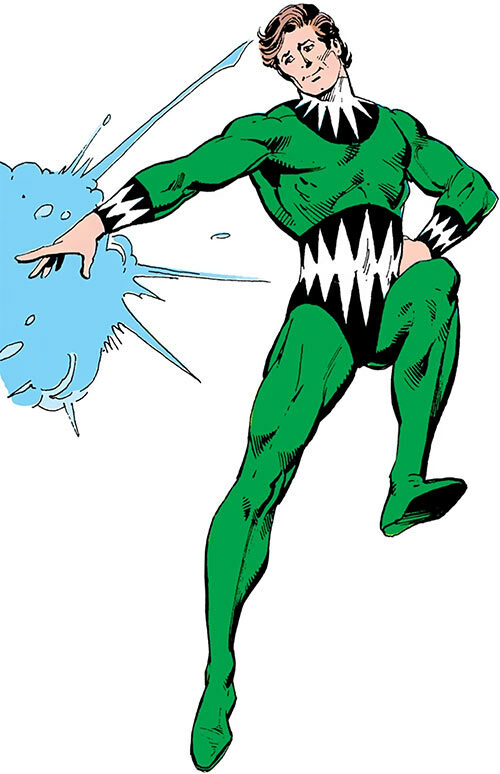 His costume has gone through minor permutations at times, but he generally wears a green bodysuit with black and white diamond patterns around the wrists and neck, and black briefs with the same white diamond pattern. For a short time he wore a brown costume with a big “D” on the chest, but quickly went back to his traditional costume, although at times he has brown boots and gloves. More typically, his hands are bare and he wears no boots. Normally clean-shaven, he grew a mustache for awhile some time after his break-up with Shrinking Violet. A jock, not very bright or thoughtful, Duplicate Boy is more a fan of action than talking. Though not really stupid, he’s not a particularly cerebral sort, and prefers duplicating brute force powers rather than those which require cleverness or subtlety. He enjoys the fame he has on Lallor and likes being the most powerful and popular of his teammates. Basically, Duplicate Boy operates on the level of a stereotypical high school captain of the football team, or other “Big Man on Campus”. He’s brash, overly confident, has a hard time believing anything bad of pretty girls, etc. He was convinced of his own importance and used to being the center of attention. This wasn’t much of a problem when he was younger, but as he has gotten older he has failed to really mature. He was also very possessive of Violet during the time they were romantically linked. He is known to have used his powers to “check up” on her from a distance, and once picked a fight with Matter-Eater Lad when he showed too much interest in her, though Violet calmed Ord down. 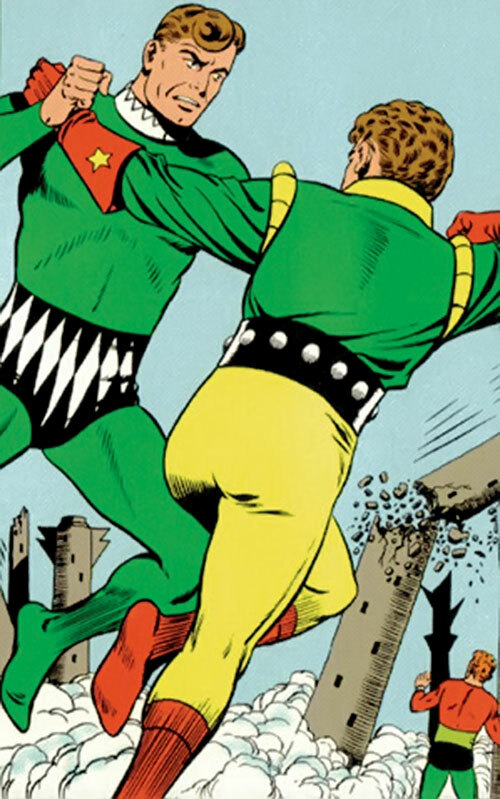 When he believed that Violet was sleeping with Colossal Boy, he went wild, attacking Colossal Boy and doing tremendous damage to a resort in the Himalayas before Ultra Boy stopped him. His feelings for her seem to have been genuine, though. Even years after the break-up, he hasn’t really gotten over it. He and his teammates are very tightly bound together as friends and comrades, and Duplicate Boy is the core of the team emotionally and relationally, not just in terms of power-level. There are some indications that Life Lass and Gas Girl both may have unrequited crushes on him, which he seems oblivious to, just as he is oblivious to Evolvo Lad’s occasional exasperation with him. Likewise, he also remains willfully ignorant of his limitations. More than once he has exhausted himself trying to copy powers that are beyond his scope, like the STR and BODY of Validus or the magic of the White Witch. In spite of his obvious shortcomings, he still really wants to be a hero and help people. He’s brave and he is usually careful to protect innocents who might be injured by super-powered battles. He also has a strong code against taking life, as do his teammates. And while he enjoys his tremendous powers, he’s also aware of the responsibility they involve. When the Lallorian mutants realized they’d been tricked into fighting the Legion, he believed he wasn’t worthy of his powers. He intended to have them permanently nullified, until Superboy helped him see that he was needed at home on Lallor. Similarly, when he realized how he’d failed to save Violet from her kidnappers, his guilt created a mental block that temporarily prevented him from using his powers. I don’t think he’s shown up post-Zero Hour in any Legion timeline, but he could easily enough. Some of his teammates have appeared, so he may be off in the background somewhere. Alternately, he could be a planetary champion encountered by heroes in a cosmic campaign, could be moved to the 20th century and join the L.E.G.I.O.N. (Dox would love to have a flunky this powerful, good-natured, and obtuse. ), or could be another mutant character in any mutant campaign. His history, if altered to 20th century Earth rather than 30th century Lallor, actually fits the Marvel paradigm of anti-mutant paranoia and persecution. Flight is Derived from Adaptation, and requires him to name the character he is copying Flight from (-1 FC). Duplicate Boy’s APs of Adaptation need not be split up between different Powers or Attributes, as long as those abilities are from a single character (hence in any given round he can have multiple abilities, each up to 25 APs max value, more if he Pushes Adaptation) (+3 FC). If Adapting powers from multiple characters, he must choose how many APs to allocate to each ability as per the normal Adaptation power (-0). The Range of the Adaptation power only applies the first time he copies someone ; after that, he may duplicate the ability at will, as long as he remembers who they are and what their powers are (+2 FC). Duplicate Boy can only Adapt Powers, not Skills (-1 FC) (“Powers” includes Powered Skills and any Attributes considered by the GM to be Powers ; examples have included DEX, STR, BODY, and Timber Wolf’s Acrobatics). In addition to the HP costs and the potential for burning out his Powers, a failed attempt to Push Adaptation Stuns him for 1d10 rounds (-1 FC). Adaptation may mimic powers with a Base Cost higher than 100, like Sorcery (not that this is necessarily a good idea, considering his low SPIRIT – he’s knocked himself out twice – so it’s only +1 FC). Free Access (on Lallor), Languages (Lallorian, Interlac), Local Hero (Lallor). Heroes of Lallor (High), Legion of Super-Heroes (Low). In his first appearance, Duplicate Boy and his fellow Lallorians had a Forced Exile from Lallor. During the years they were dating, Duplicate Boy and Shrinking Violet had a High level Connection to each other. He also had 45 HPs. Right after they broke up, he had a short-lived Guilt Drawback and was going through a Power Complication Subplot (had a mental block which made it seem as if he’d lost his powers). That Subplot netted him enough HPs to buy off his Guilt. Setting his power level was problematic in a post-Crisis universe. He can freely fly across hundreds of light years by copying Flight from Superboy or another Kryptonian/Daxamite (Flight 43-45 while also Adapting Sealed Systems of 15-20), but had to Push to try (unsuccessfully) to copy Validus’ STR 28 and BODY 32. So I gave him the Flight power separately, as every other ability he copied fit in a 25 AP range. Well, except Dawnstar’s Life Sense, but he’s only duplicated her power when he was within a planet’s atmosphere, and her power is reduced when she’s on a planet. The DC Heroes RPG 1st edition entry for Duplicate Boy states that he can’t duplicate powers that affect mind or spirit. No such limitation is ever mentioned in the comics, and he does successfully duplicate mental powers like Life Sense and mystical powers like Sorcery (more on that below), so I’ve chosen to disregard that statement. This one is *extremely* powerful. If you are brave/foolish enough to allow Duplicate Boy as a PC, the player should be strongly encouraged to roleplay Duplicate Boy correctly – that is, tending toward brute force rather than imaginative uses of his powers, ignoring his Limitations and thus occasionally knocking himself unconscious, etc..
I’ve tried to be as detailed as possible with his Personality to make roleplaying him easier. Helper(s): Mayfair’s LSH Sourcebook v. 1 for the Beta, Legion Help File by Chaim Mattis Keller, John Colagioia, Jay Myers, Dr. Peter S. Piispanen (for the Nemesis Kid writeup). 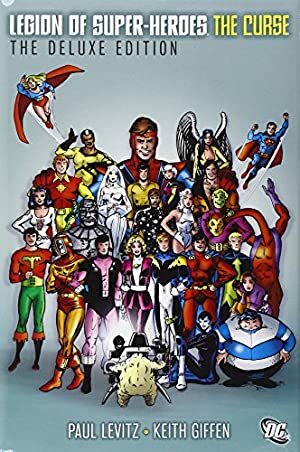 Source of Character: Legion of Super-Heroes comics (DCU, pre-Crisis).